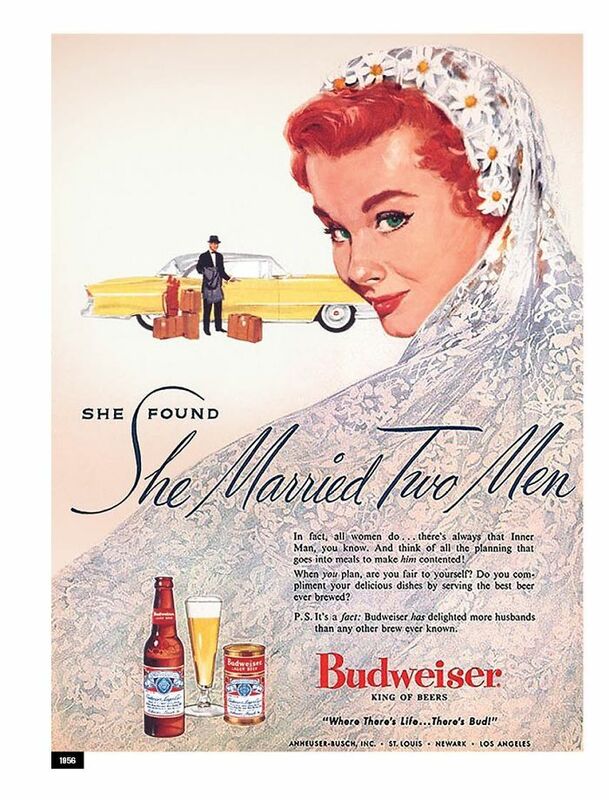 This year, in honor of International Women’s Day, Budweiser revisited three of their adverts from the ’50s and ’60s that they are not exactly proud of. 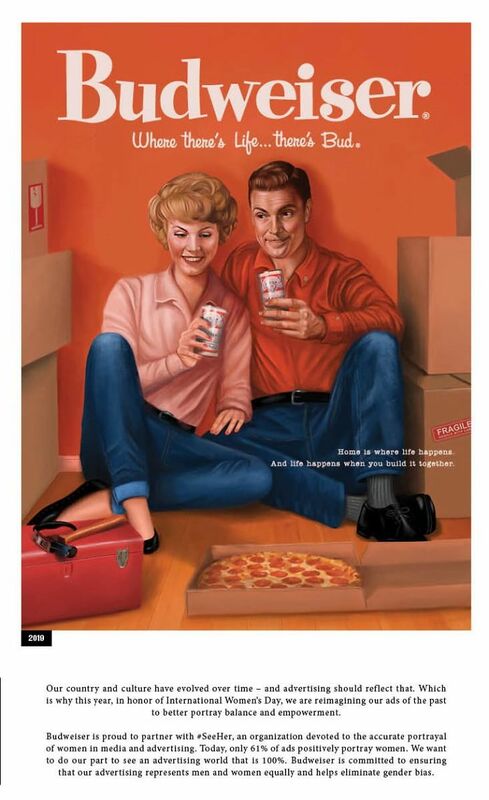 The outdated ads portrayed objectified women in a subservient role to their husbands. But media and advertising was only a reflection of the world we lived in. 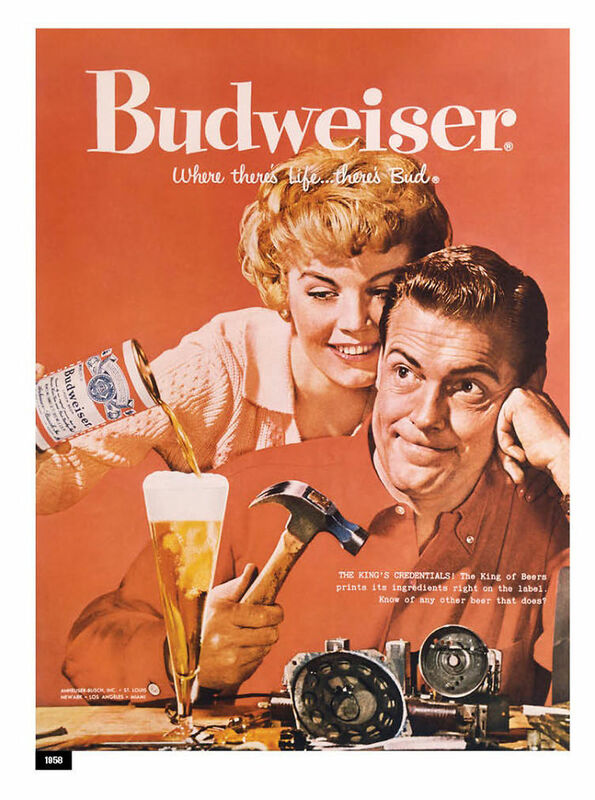 Although today’s reality is not perfect, we’ve come a long way in the battle with gender stereotypes and Budweiser took an opportunity to celebrate this and course-correct its work by modernizing it and showcasing gender balance and women’s empowerment. It might be difficult to imagine for younger generations but back in the 1950s, women conformed to clear gender roles. Popular culture and mass media were only reinforcing the messages of traditional ideals with patterns of repression and sexualization of women by men, and we still notice the result of that in many third-world countries and more conservative households, and it affects the self-confidence of women around the world. A diligent wife and mother who takes care of the household and supports the hardworking husband unconditionally – was a classic example of a stereotypically perfect woman in the 1950s. This image was reflected in many vintage ads, which always placed men at the forefront. 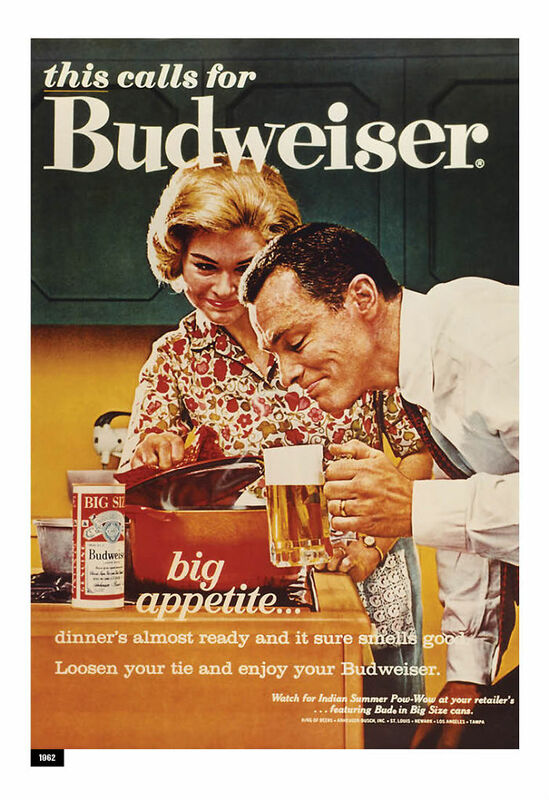 A masculine brand like Budweiser was no exception. However, the brand was serious about making up for those advertisements – revamped versions of the ads now unbiasedly adapt to a modern woman who lives in a well-balanced relationship and takes time to relax and enjoy herself. 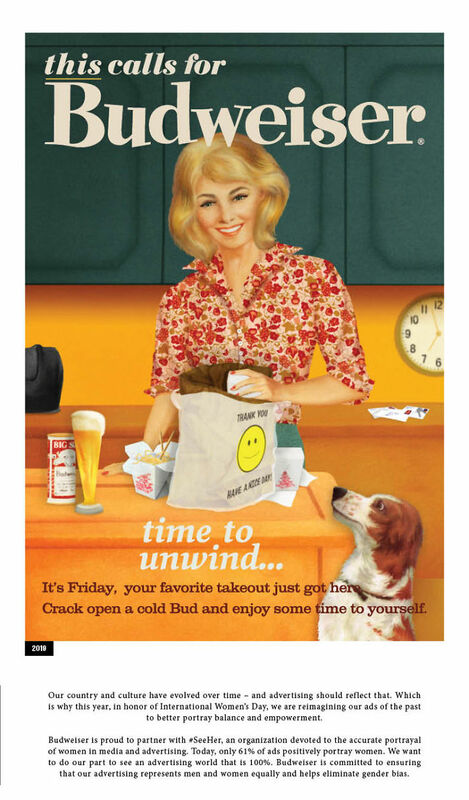 Although the ads have the same colorful vintage aesthetic, updated versions are free of sexist messages and assigned roles. The campaign is a part of a long-term partnership with the Association of National Advertisers’ “#SeeHer” initiative, which aims to improve how women are portrayed across all media and advertising. 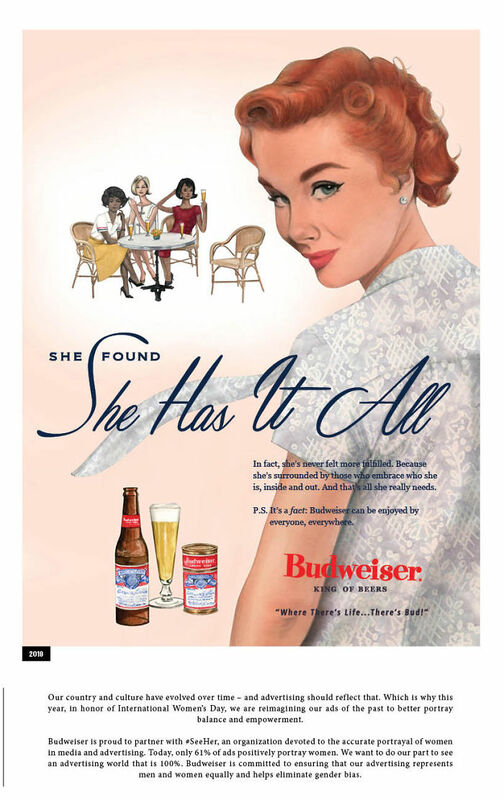 There is definitely more diversity, accuracy and respect in the portrayal of women comparing to the mid-twentieth century, but according to #SeeHer data Budweiser is including into the campaign ads, only 61 % of ads positively portray women.